Add vibrant colour and light to your patios, pathways and borders with hand painted solar bell flower garden stakes. 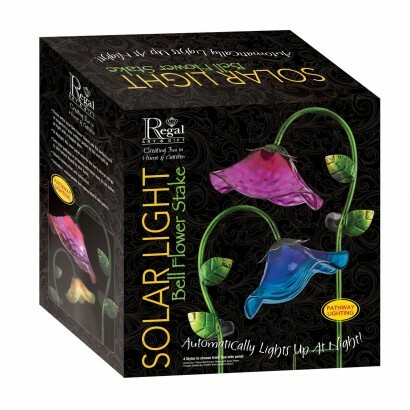 Eye catching in vibrant yellow, these beautiful solar stake lights are lit by a white LED that shines through the colourful glass shade for gorgeous light effects. 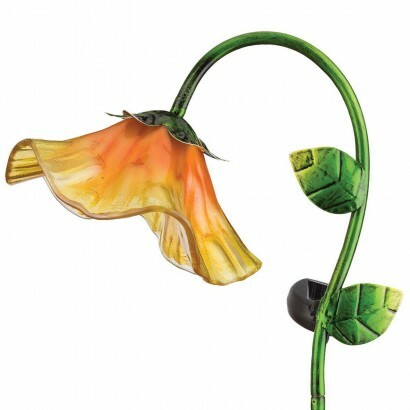 Standing at 51cm tall, these colourful bell flowers ensure that your garden is in full bloom all year round with their vibrant glass shades that automatically illuminate at night.